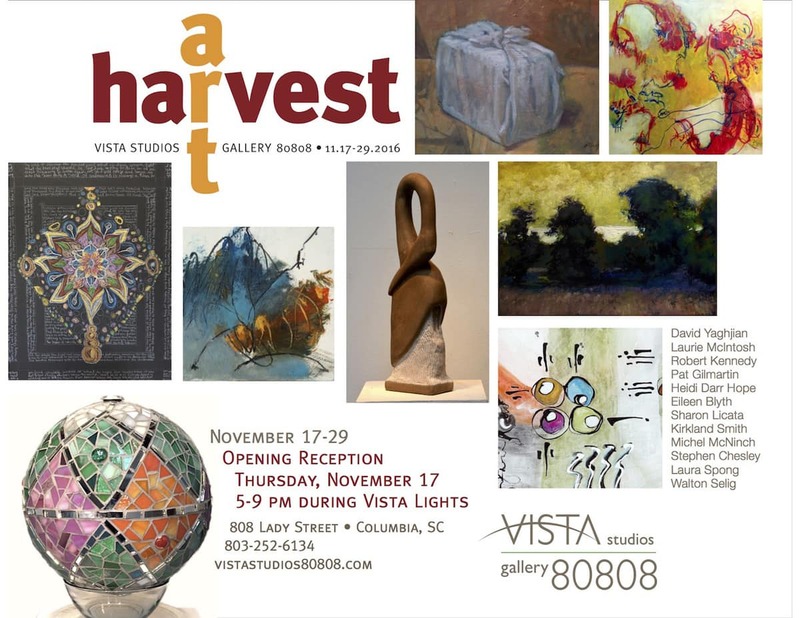 The resident artists of Vista Studios present new work in Harvest Art from November 17th-29th in the gallery at 808 Lady Street. They will open their studios to the public and will host a free Opening Reception on Thursday, November 17th from 5-8pm during the Vista Lights celebration. Vista Studios is home to 12 artists and each will be presenting new work. Also showing in the show are Robert Kennedy, Michel McNinch, and Walton Selig. Gallery hours will be from 10am-5pm daily. The gallery will be closed Thanksgiving Day. For more information, please visit their website: www.VistaStudios80808.com.